All the latest purification technologies UV+ RO+ UF are implemented in this water filter appliance. After passing through sediment filter and activated carbon filter where visual dust and sediments are removed, the water passes through RO where all the dissolved impurities are removed. Water, then passes through its next stage that is UV. Bacteria and cysts are removed. TDS filter makes it distinct from other RO purifiers since it retains the essential minerals in the water necessary for health and also retains the taste of water. The last stage of purification is UV which eliminates bacteria and viruses from the water to let you savor 100% healthy and tasty water. There is a myth that RO purifiers can only treat water having TDS above 5ppm but Kent Excell + Water Purifier can purify water with any level of ppm since it has a controller to adjust TDS levels. The Kent purifier is suitable for water coming from bore-wells, municipal taps, overhead tanks or water tankers. The patented RO technology of Kent makes it a versatile water purifier. To ensure that users always get purified water, a computerized controlled alarm notifies you in case of UV lamp failure and filter failure. In case of any of the failures, the power supply is cut off, letting you not to use any unpurified water. Then Aqua Kent’s Experienced Technicians will change the filters for you. Excluding the RO Membrane, the other 4 filters are only a total of RM180. Very Reasonable in terms of pricing. 1. High power 11 Watts UV Lamp ensures complete eradication of harmful micro-organisms. 2. Purified water storage tank of 7 litres which is detachable for easy cleaning. 3. Inbuilt auto-flushing system enables cleaning of the UV membrane of any salt deposits. 4. Inbuilt SMPS regulates any power fluctuations, designed for Indian power conditions. 6. Leak proof fittings, rubber O-rings are used for preventing any water spilling. Kent is known as a pioneer in bringing RO technology in water purification and unlike other RO purifiers which remove the essential minerals from the water, Kent RO technology retains the minerals in water required for a healthy life. It Strictly does Not add but only Retains the Minerals. Whatever source of water you have, Kent Pearl is able to purify it with latest computerized RO + UV/UF technologies. Kent Pearl 8-Litre water filter requires minimal manual intervention since the appliance is fully automatic, shutting off the supply when the purified water tank reaches the maximum level and shuts ON the supply on reaching minimum water level. Designed specifically keeping Malaysian power conditions in mind, Kent Excell + purifier has been designed with in-built voltage stabilizer which controls the voltage fluctuation between 100V and 300V range. 1. 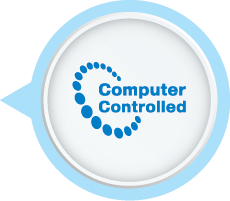 Computer Controlled System: there is a system inside which detects when your filters have reached its maximum efficiency and therefore there will be a beeping sound to inform you that its time to change your filters. This prevents any impure water from entering into your tank. 2. 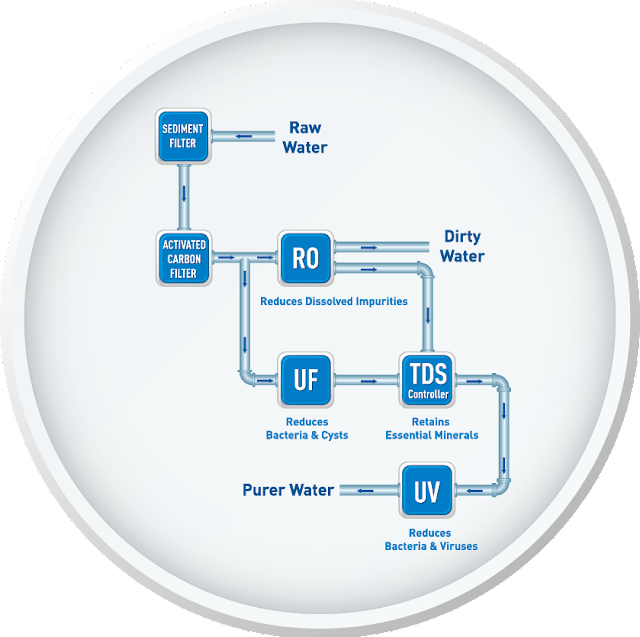 Mineral RO Technology: they are the First in Malaysia to have a tds Controller which allow Minerals to be Retained in your water. It doesn't add minerals, but it keeps the minerals and Removes away the chemicals and impurities. 3. UV Light (Ultra violet Rays): this UV Light Kills all the Bacteria’s and Viruses in the water. 4. Double Purification Technology: the double purification of RO + UV / UF removes even dissolved impurities such as chemicals, bacteria, viruses and salts, making water 100% pure. 5. Save Water Technology: in conventional ROTM Technology, only 20% of water is recovered as purified water and about 80% is rejected which is often wasted. KENT’s Save Water Technology employs a computer-controlled process that recovers more than 50% water as purified water. 6. World's Top Certifications: this RO purifier is tested and certified for its performance and quality by world’s renowned laboratories, such as the WQA (USA), NSF (USA) and ISI. These achievements guarantee that KENT not only gives the most purified water but is also trusted by millions. As you know Malaysia has lots of water problems, there's regular water disruption, there's limited water and cost of water is rising. Therefore we have come up with "SAVE WATER TECHNOLOGY" as well. 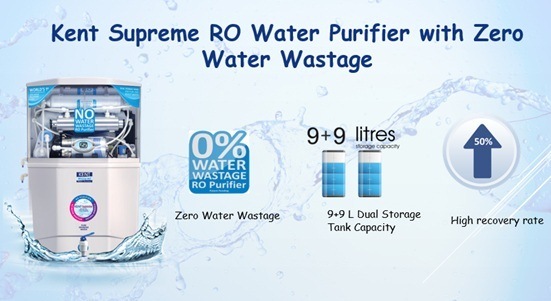 Whereby no water is lost through our RO purifier Kent Supreme. Regular water purifiers like coway and other Ro water purifiers reject lots and lots of water. Other RO based purifiers may look clumsy in front of this efficient and smart Kent Excell + 8-Litre RO Water Purifier. Its patented RO technology gives it the name and popularity it deserves. Strong body and unmatched water purification makes it a reliable water purifier. Overall, this 7-liter purifier from Kent is rated higher due to its capacity, purification level, auto-alarm and international certifications attributes. Recently bought an under counter unit from Aqua Kent. Best decision ever! My cousin also using this Aqua Kent water filter brand . Seems really good , they come and service regularly , their system also all automatic so don't need to worry about anything. Will consider the Kent excell from @aquakentromalaysia. Thanks for the review.. I think i just made my decision on which purifier to buy for my new house. Amazing Review on the Aqua Kent Excell Plus. Thank you!.. Will check it out. I will definitely go for Aqua Kent Water Filters, this product will keep your kitchen counters clutter free and price is very affordable, thumbs up to this! This article helped me to decide in which product I should go and will definitely buy this one from Aqua Kent RO Malaysia, price is way cheaper compared to other brands.